With Hattie’s Visible Learning research in mind, Connie Watson decided that every teacher, every child from Years 3 -6 and every class should have a blog. All teachers were supported to develop their skills and confidence to create content, post, publish, upload images and movies, and moderate blogs. They now share and compare their blogs and their ideas with their students, parents, industry, and peers internal and external to the school. The whole school community is involved at home and at school with their blogs. Homework, parent engagement, Italian recipes, news, quizzes, competitions, provocations, reviews, and reflection – it is all done with blogging accessed from home, school, during the week or at the weekends. “All of our Grade 5/6 students have their own individual passion blogs. We made the shift last year from the show and tell blogs to more of an interactive blog. Since then the quality of the students’ writing has improved dramatically. Their passion for blogging is so much greater and they just love doing it. Every time they have a spare moment in class they want to blog and it has just given them their own voice which is fantastic”, said Kristen. Students create passion blogs and discover networks to discuss new ideas and perspectives from like-minded students. We heard from students who have created blogs on superheros, star wars, comic books, the World of Minecraft, the Hunger Games, Harry Potter and other favourite books. The students are learning to target their blog and writing style for specific audiences to elicit discussion on an international scale. According to Kynan, “the kids love the Global2 cluster maps so they can see their potential audience from across the world’. “It’s exciting collaborative learning and it is authentic for the kids because they are working on things that they are passionate about, and on questions that are relevant to them, often that they have driven themselves”, explained Connie Watson. Also central to the contemporary learning and teaching practice is cybersafety awareness and copyright. Cybersafety is built into lessons and classroom practice at every Year level all year long. Fitzroy North PS is an ICT savvy school. Each classroom that the 20 strong study group entered, they barely caught the eye of the students who were completely engaged and immersed in what they were doing. The technology was seamless, the content was all important and it was student owned content. As Kristen says, it is not about the devices it is how they enhance the learning and fit within the learning curriculum. According to Kynan, “the point of ICT is to drive your pedagogy, to assist your curriculum”. This is the first of a series of Global2 bloggers in action. If you would like to have your school featured we would love to hear from you! I am not sure if this is of interest or not but here at St Therese, Torquay, we have started a “Bloggers Arvo Tea” for Term 3. It is an optional session which meets once a week on a Monday for an hour. 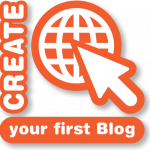 We have begun at the beginning and are making our way through the process of where to begin with blogging – how do you actually get a Global2 blog? and each week the teachers will learn a new blogging skill. The teachers had the option of creating a personal blog or something they could use in the classroom, with the results being mixed. As it is an optional weekly session teachers who come along are really interested and enthusiastic about extending their knowledge and understandings about blogging and how it can be beneficial for themselves and the students. Wow! This is absolutely fantastic and hits every mark. Personalized learning. Twenty-first Century learning that is not just substituting a different tool for pen and paper, but actually introducing a pathway that could not have been followed before. I love this approach. You have also given me many other perspectives to consider, one of which is that blogging will actually lead the bloggers to develop other Web 2.0 skills. Thank you for the vision and the motivation. i would really appreciate some help, either jan or st therese’s or anyone else out there. we have just begun blogging this term and the students are truly engaged in it all. so much so, that a group of 5 or 6 Year 3/4 students are running a PLT next fortnight to show teachers how to begin a class blog! i’d love to spend some time with others to get some more helpful hints on blogging. if anyone can assist, please open the window and yell! I would love to help! Each of our year levels have a blog and our year 5/6 students have a personal blog each. There is also a St Therese teacher blog running. How can I help? You are more than welcome to visit.